I made up this recipe based on the Hand Mixed PB Cookie recipe I love. The great thing about both the cookies and the bars is that they are flourless. I have no dietary restrictions but I know several people who do and they struggle to find good cookie or dessert recipes that don’t call for strange ingredients in the place of flour. These bars did not even require a mixer, I just stirred by hand. They were thrown together in less than 5 minutes and with 20 minute bake time were ready to enjoy in no time. 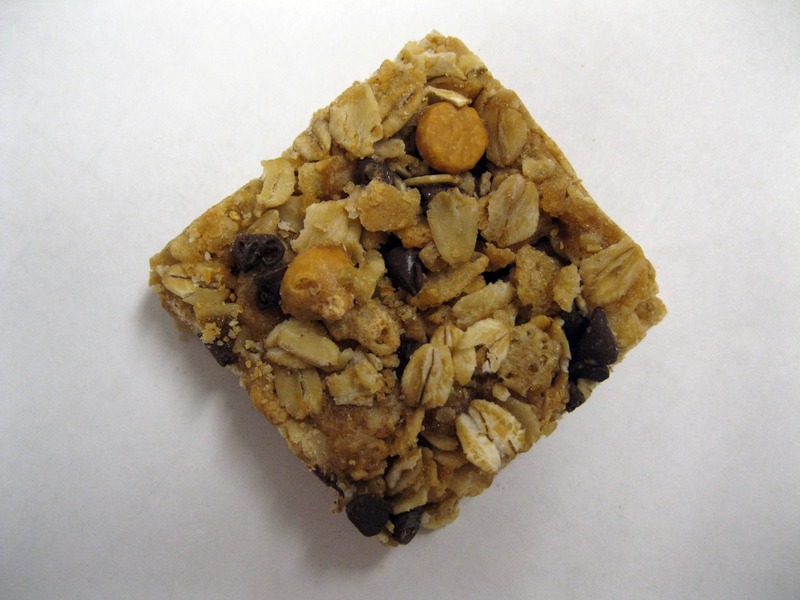 The bars came out chewy in the center and a little more crisp around the edges, a little mix of texture to please everyone. I found these to not be too sweet and a small bar satisfied my craving. These would be good for a quick treat when you don’t want to dirty a bunch of bowls or use your mixer. Spray an 8×8 pan with Pam. In a medium bowl stir together peanut butter and sugars. Add egg and baking powder. Stir to combine. Add salt and oatmeal. Stir until mixed. Gently fold in chips if using. I have been making this recipe since I was 10 years old. It is one of the first cookie recipes I ever made on my own. I never knew the controversy behind it (we are talking pre-internet days in the rural Midwest). I never knew the story behind this recipe and thought it was just another cookie recipe in my mom’s church cookbook. I loved trying recipes out of those books! It was so neat to make recipes submitted by our neighbors and family, heck they were celebrities in my mind. I wanted to get a recipe into that cookbook so bad. Ah, dreams as a child. I must have been living under a rock (or the MIdwest) because it wasn’t until recently that I realized the cookies I enjoyed making as a child are actually quite famous. I know there are a few variations of the recipe but this is the one I am most familiar with and used to make. These cookies were a favorite in my family. I enjoyed using the blender to whirl the oatmeal, it made this recipe a bit more special than others I made. 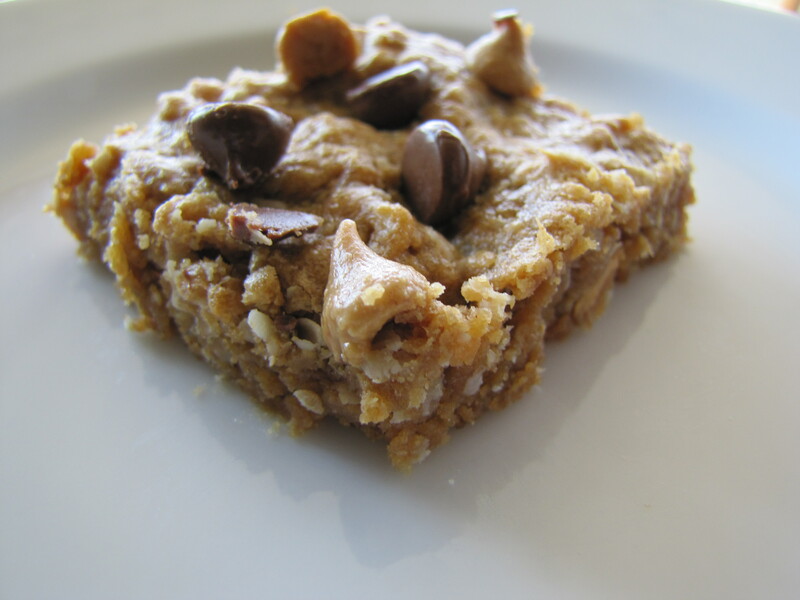 The blended oatmeal creates a chewy texture and a bit of nuttiness that takes this cookie to another level flavor wise. Over the years I have modified the recipe a bit but the original I used to make is the same as the one in the link below. I have found that a tad less butter does not sacrifice flavor or texture and a larger ratio of brown to white sugar gives a creates a chewier texture and a deeper flavor profile. I also don’t blend the oatmeal to a flour but instead allow a bit of the texture to remain, sort of in between flour and oatmeal. I have also found I much prefer the mix of semisweet and milk chocolate chips, they play off of each other so well! I also highly recommend the walnuts (toasted preferably). They really compliment this cookie. If you have never made these before, go ahead and try the original (from the link) and adapt to your own preferences. Overall these are a great cookie when you want a chocolate chip cookie but something a little bit out of the ordinary (not totally crazy). My Taste Tester enjoyed these but not as much as I do. He suggested next time to add a bit more flour to make them a bit “thicker” to suit his preferences. I also would like to brown half the butter next time to further develop the nutty undertones. Preheat oven to 350 . Line baking sheets with parchment paper. Blend the oats in a food processor or blender to a course powder. In a medium bowl whisk together the blended oats with the flour, baking powder, baking soda and salt. Set aside. In the bowl of an electric mixer, cream together the butter and both sugars until light and fluffy, 3-4 minutes. Scrape down the sides and beat in the eggs one at a time, beating well after each addition. Beat in the vanilla extract. On low speed gradually mix in the flour mixture, beating just until incorporated. 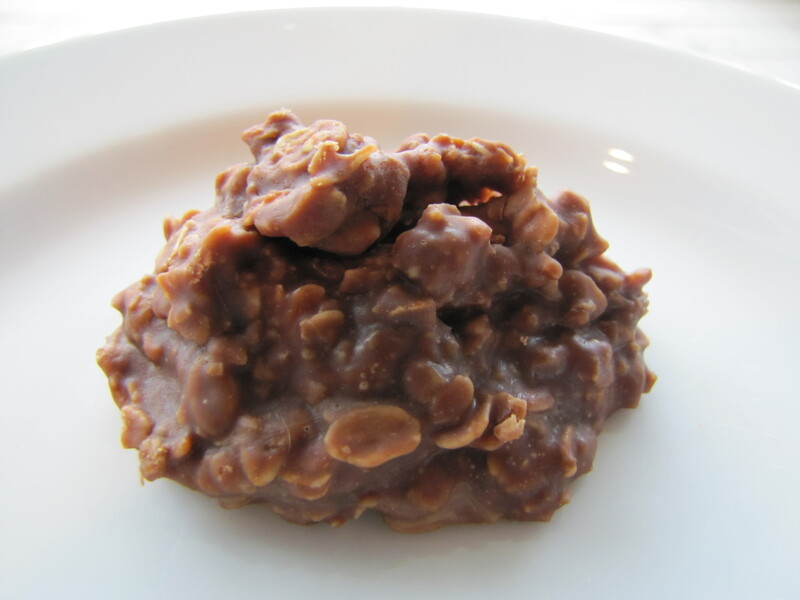 With a rubber spatula fold in the chocolate chips and walnuts. Roll the dough into 2-ounce balls and place about 2 inches apart on the baking sheets. Bake in the preheated oven for 10 minutes. Cookies should be lightly brown and set on the outside but still look a little undone in the middle. (this will keep them soft after cooling). Store in an airtight container. I had about 3/4 cup of Rice Krispies cereal sitting in my cupboard (does this happen to anyone else? Having small random amounts of foods left over?). I was not in the cereal eating mood so turned to my online BFF Google. About 30 seconds later my BFF introduced me to this recipe. 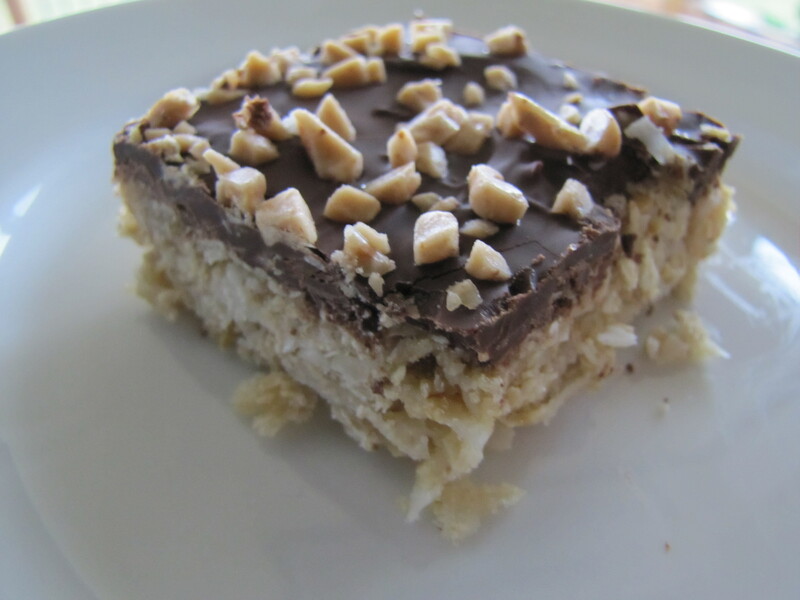 It calls for 1/2 cup Rice Krispies…perfect! I can finish this box up and use the newfound pantry space for a big bag of Cheetos, double win! 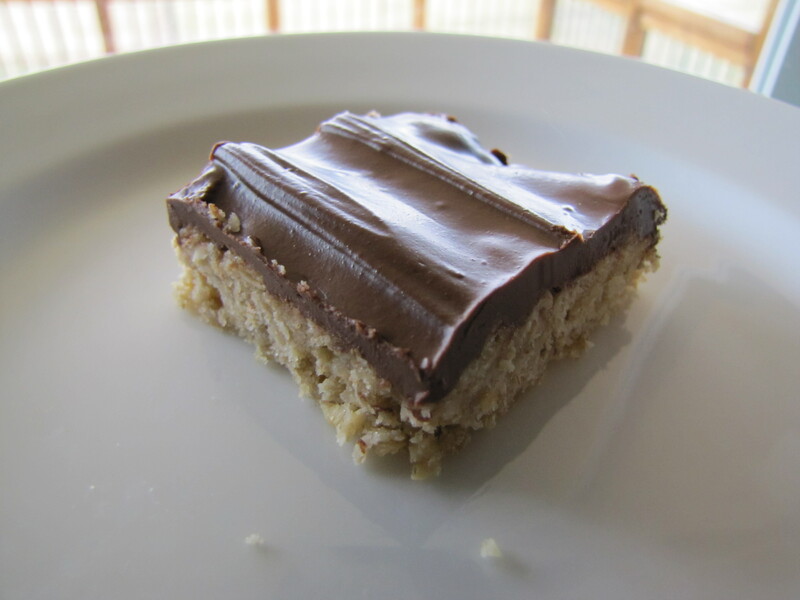 These bars were a cinch to make, you basically just dump a bunch of ingredients in a bowl, press in a greased pan and bake. Easy Peasy. I did adapt the recipe just a bit based on what I had on hand. The end result was great. 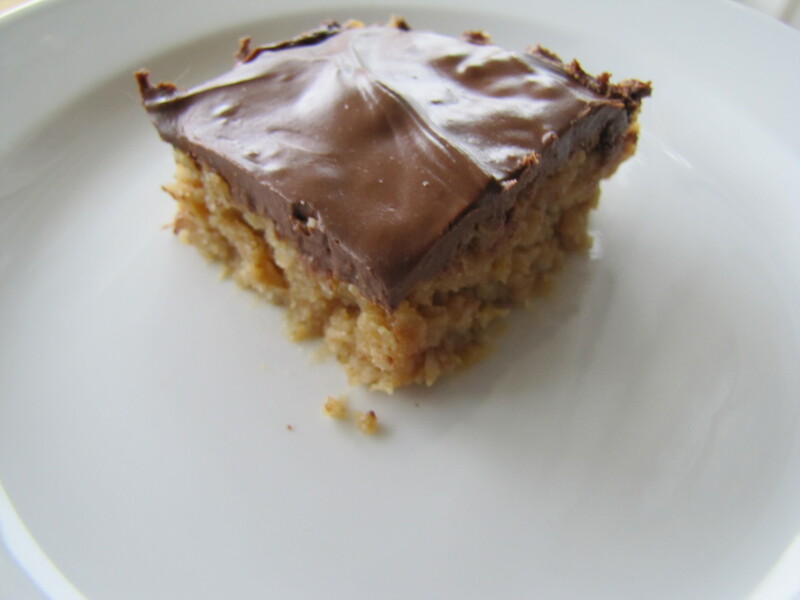 Mine did not turn out quite as chewy as the original claimed (thus my removing ‘chewy’ from the title of these bars). There were still great. The flavor of the peanut butter, chocolate and butterscotch was a winning combination and I found it rather addicting. I easily ate 3-4 of these bars over about an hour by simply breaking peices off every time I went into the kitchen. Next time I may not bake them quite as long to see if they will turn out a bit chewier, but I really did enjoy them crunchy. My only complaint was that they crumbled a bit when removing the edge peices. now worries, just easier to shovel in my mouth. 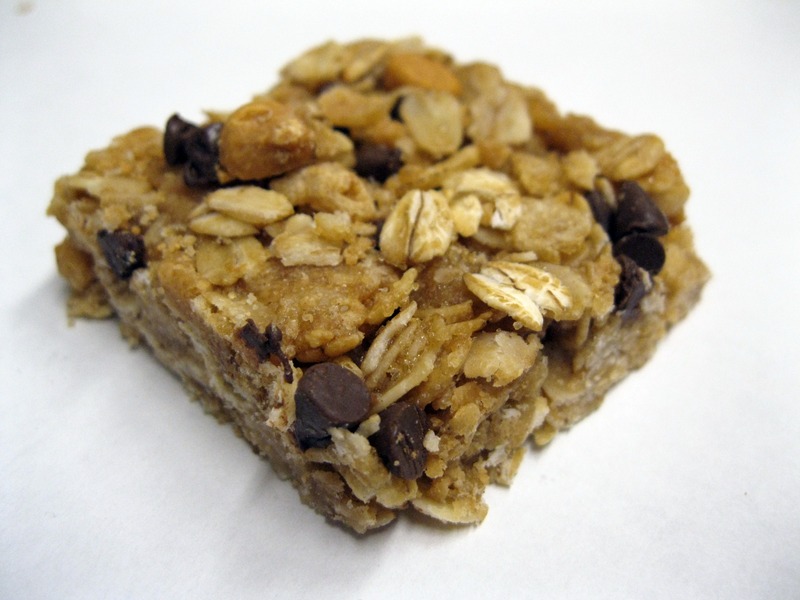 These bars taste hearty yet sweet. I think these will be perfect to take on hikes, boating, sporting games. Pretty much anytime you need a sweet treat on the go this Spring and Summer. Don’t be afraid to mix and match ingredients to suit your family taste preferences. These would be great with almonds, cranberries and white chocolate or mini M&Ms and peanuts. Really, use your imagination! Spray an 8×8 or 9×9 pan with PAM. In a large bowl, add all of the ingredients and stir until combined well. Press into pan. Bake for 16–20 minutes or until golden. Cool for at least 15-20 minutes. Cut into bars. It seems as though I am on a chocolate and peanut butter kick lately, must be the stress and anxiety of waiting for Spring to finally arrive! I am sure many of you have already made these cookies or have at least eaten one. This is a quick and easy recipe that whips up in no time and does NOT require an oven or any baking making them perfect when the warm weather comes around and you are not wanting to heat up the oven but still desire a sweet treat. This recipe is one my family has been using for years so I am unsure of its origin, if you know, drop me a line and I will include it in my blog. While this recipe includes common ingredients and whips up in no time, I do find these cookies can be a bit temperamental. 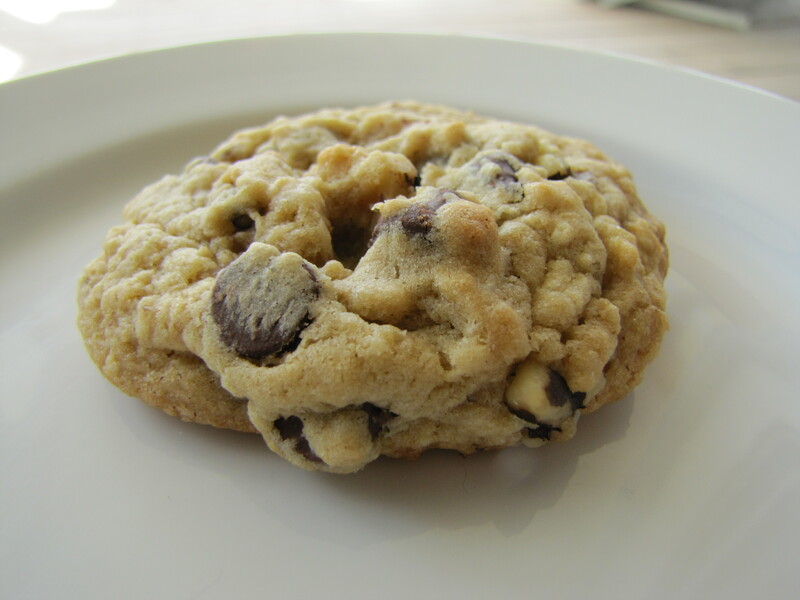 Ideally, you will end up with a cookie that holds its shape but is still fudgelike upon cooling. Many people either have problems with their cookies not setting up and remaining too gooey or being too dry and crumbly after cooling. These problems can both be avoided with the proper boil time. You could use a candy thermometer I suppose but why dirty another item and frankly, I don’t like them. I prefer to be more diligent and careful when boiling the mixture. If you don’t boil the mixture long enough the final cookies will not firm and set up nicely (Though will still taste marvelous). If you boil too long, the final cookie will be dry and fall apart easily (and not too marvelous). I find that timing 60-90 seconds once the mixture comes to a ROLLING boil (not just a simmer) work out well for me every time. Now, on to the final cookie. If you are not familiar with these cookies their texture and flavor is like eating a piece of chocolate fudge with a slight peanut butter flavorlingering in the background. The oatmeal gives these structure and helps them keep their shape and texture. Be sure to work quickly as they tend to begin to set up in about 3-5 minutes making scooping out difficult. I like to tell myself because oatmeal is included these are ahealthy snack and can and should be consumed at breakfast. Want more reasons to make these? Ok, you can eat the ‘dough’ and lick the spoon (shouldn’t do this until done with scooping out all of the dough. No one wants slobber on their cookies) since there are no raw eggs, you can make these all different sizes since they don’t need to cook (just keep in mind if they are too big they will need more time to set up) and lastly, well, anything with peanut butter and chocolate has to be great right? Give these cookies a try, they are great to make when you don’t have a ton of time as it does not take long for them to set up, if you are transporting them, however, I would wait for them to set up at least an hour at room temperature or 30 minutes in the fridge or they may still together. Also, I would keep them stored in a single layer or with multiple layers separated by waxed paper. Keep these stored in a covered container so they don’t dry out (not that they will last that long). Measure out 3 cups oatmeal in a bowl. Set aside. 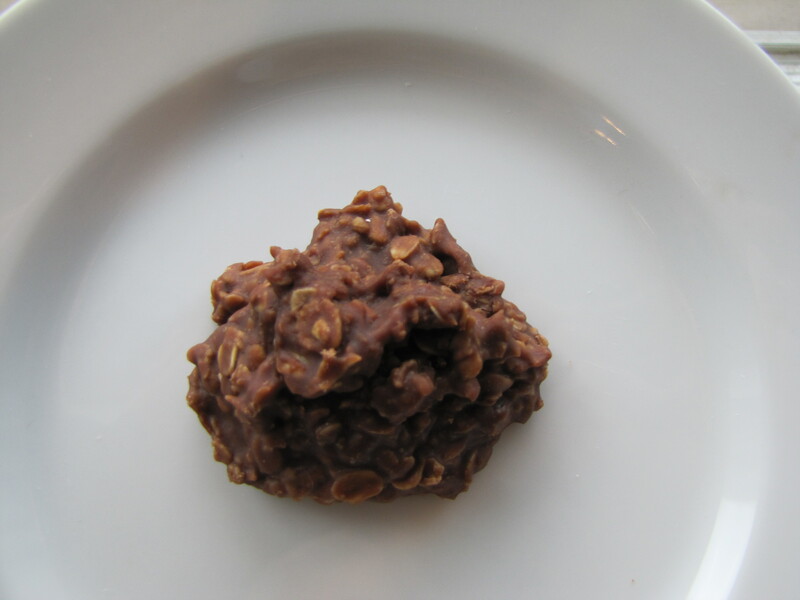 In a medium saucepan over medium high heat, combine sugar, milk, butter, and cocoa. Bring to a boil. One boiling time for about 1 1/2 minutes. Drop by teaspoonfuls onto wax paper until set, store in sealed container at room temp.